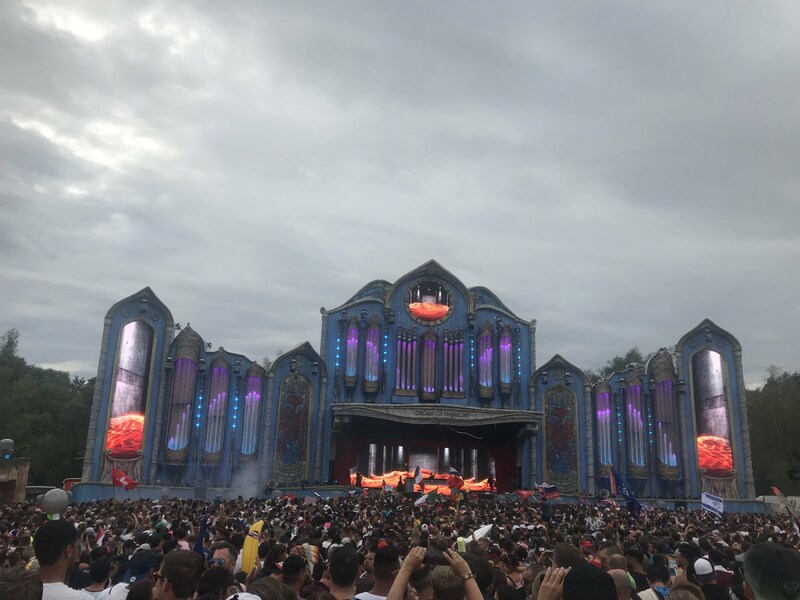 This past weekend I watched music unite thousands of people from around the world for a weekend of happiness at Tomorrowland. 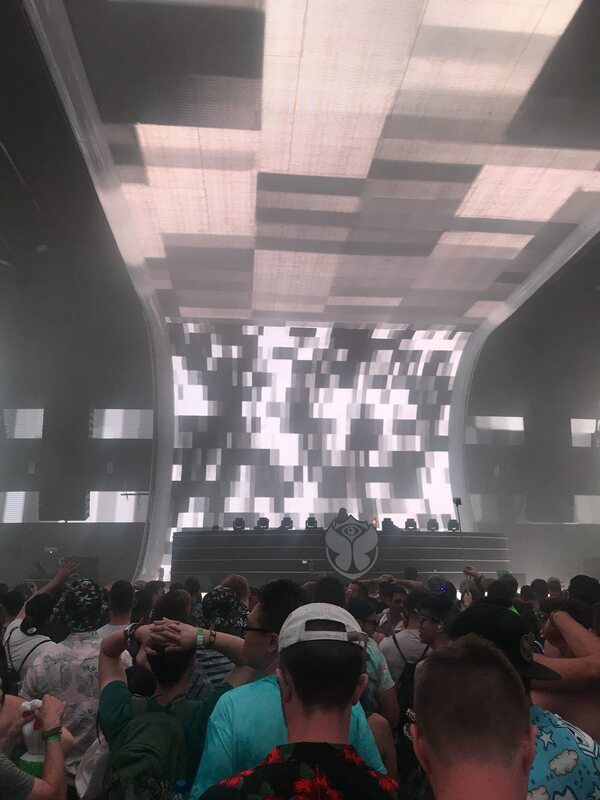 This was my first time at Tomorrowland, or any festival for that matter, and it was hands down one of the best weekends of my life. Throughout the weekend I met people from all walks of life all coming together for the same reason: music. 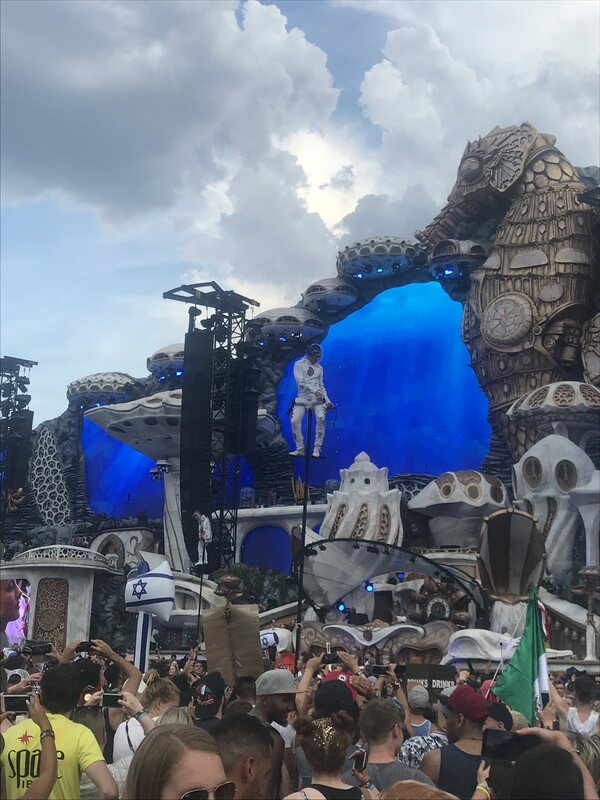 I’ve been watching the Tomorrowland livestream since 2012 and being able to finally experience it first hand in person is something completely different. 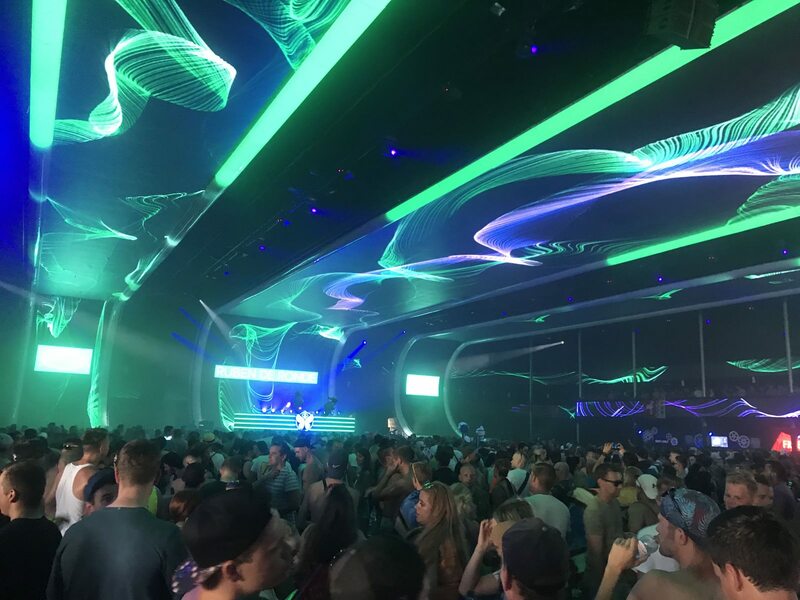 Since Jurre and I chose the Magnificent Greens camping option we were invited to the Gathering pre-party and I remember being in awe as I saw a DJ live for the first time. 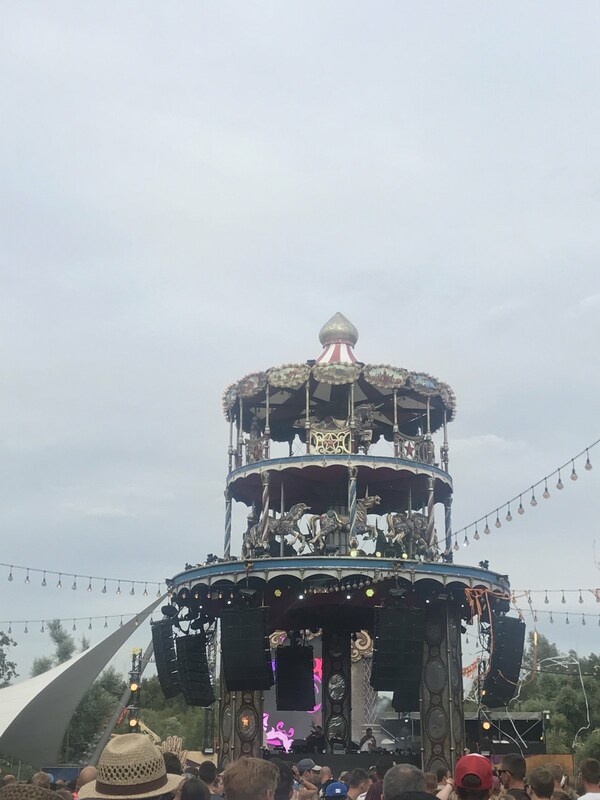 The amount of effort which went into the theme and decorations for the festival amazes me, from the garbage cans and lightposts to the walkways and stages everything is on theme. I could talk all day about decorations alone but instead I suggest checking out some of the pictures I took at the end of this post. One of the coolest parts about the festival for me, besides meeting people, was probably the choreography of the sets. 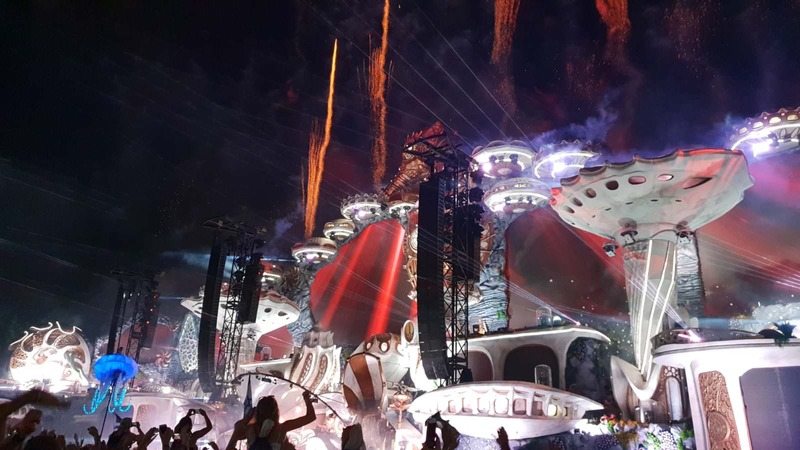 All the lights, fire, confetti, bubbles, and fireworks… All in sync as the beat drops. The feeling is just unreal, something I cannot describe. 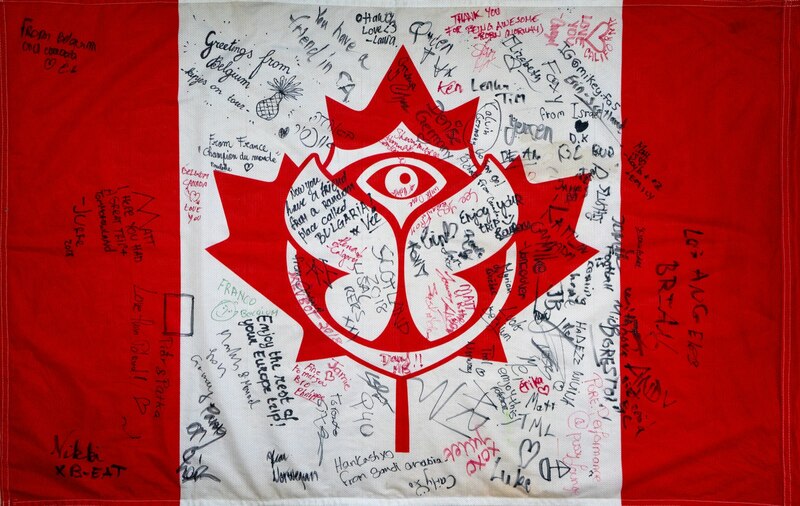 I also managed to bring back one of the coolest souvenir: my custom Canadian flag signed by the people of Tomorrow! If you’re camping meet your neighbors early on! You’ll have plenty of time to chat in the mornings before going to the festival and you might even find out that you’re going to some of the same sets. This is probably the best way to meet people early on! 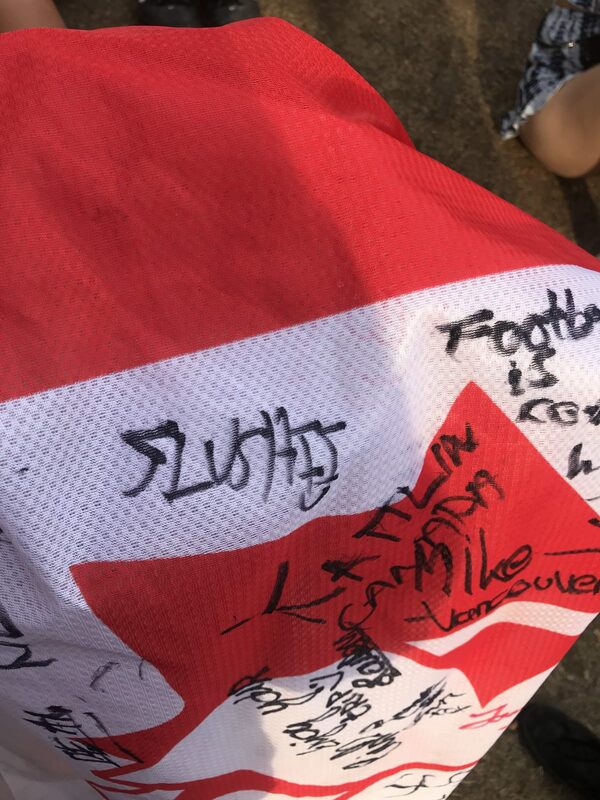 Some of the first people to sign my flag were our tent neighbors. 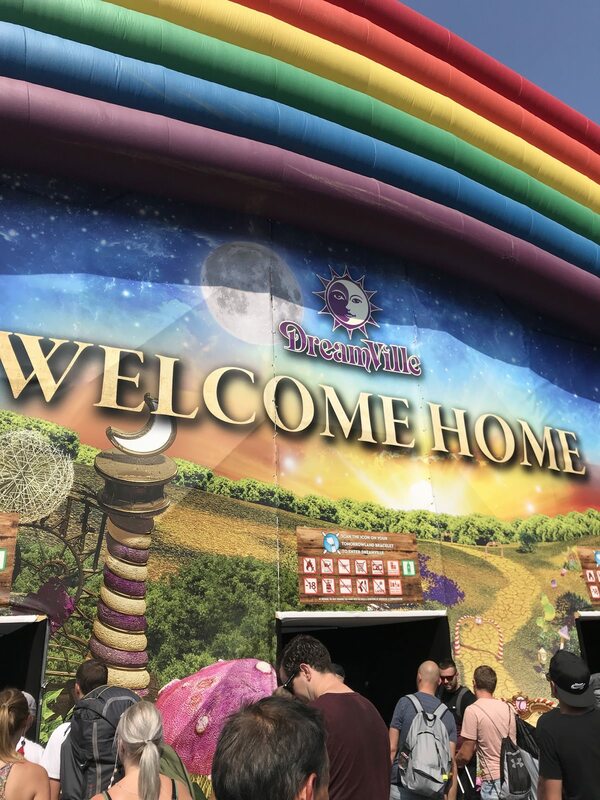 I recommend arriving slightly early on the fist day and doing a complete walk through of the festival grounds. 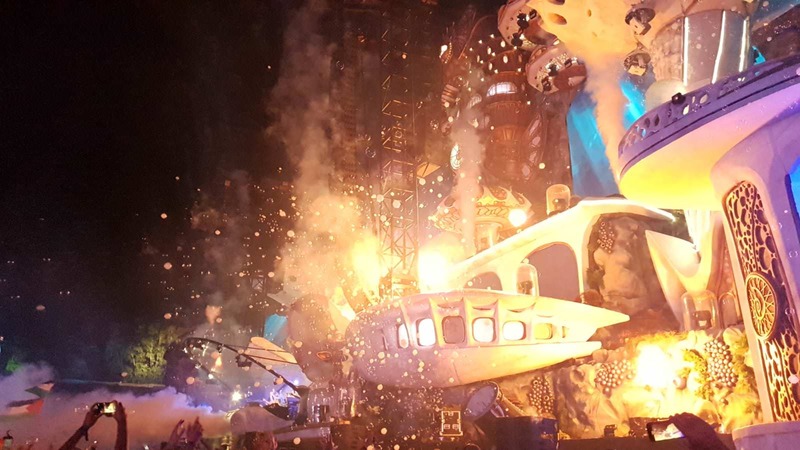 There’s so much to discover and you definitely don’t want to just camp out the mainstage. The first thing I did was walk around and get an idea of what there was to do/see. 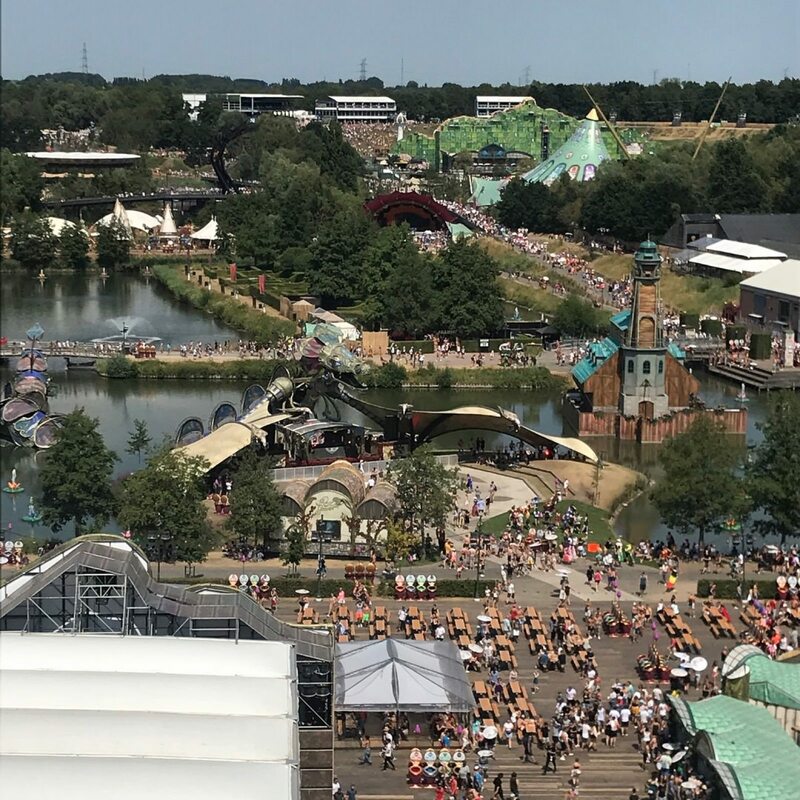 It turns out there’s even a free ferris wheel at the back of the festival which has an amazing view. I suggest going once during the day and then again later at night… the view is just stunning. Besides that there’s so much to see, so definitional get an idea of what you’d like to visit over the span of the weekend. Pack only the essentials - if you don’t need it don’t bring it. For everything else, put it in a locker. Locker rentals are quite cheap compared to having something stolen. Unfortunately thieves are present, especially since the festival draws such a large crowd. If you plan on bringing a backpack I highly recommend bringing a flag to put over the backpack as it prevents thieves from having easy access to the zippers. Plus who doesn’t want to represent their country?? Find some new music and DJs! 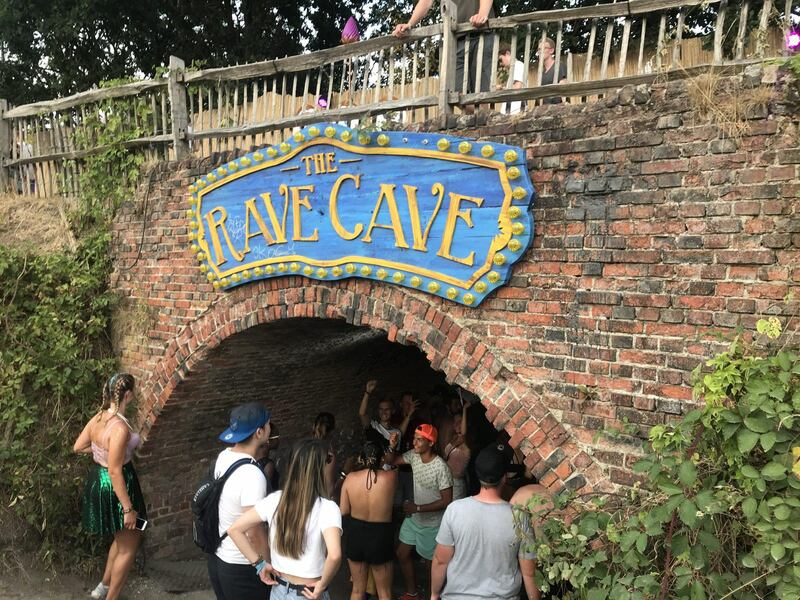 You MUST visit the smaller stages and find new music - there’s so much to discover in one weekend! 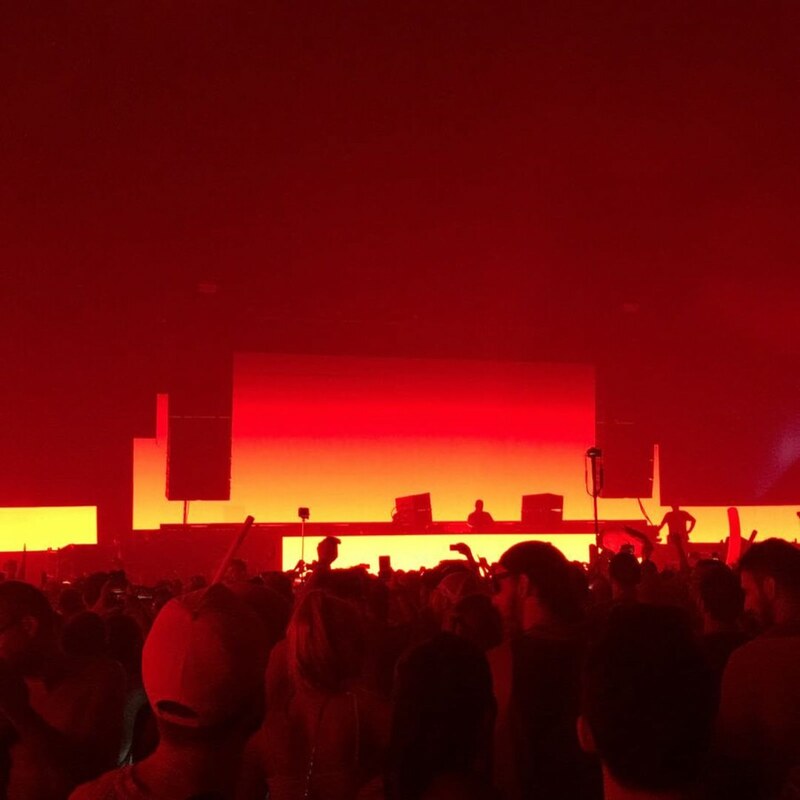 According to some stats there were over 700 DJs and 900 sets in the span of the two weekend. One thing that really helped was making friends with people who wanted to see artists you don’t know. This way you’ll have someone to dance with while also finding new music. This worked really well for me! Have fun and be safe! 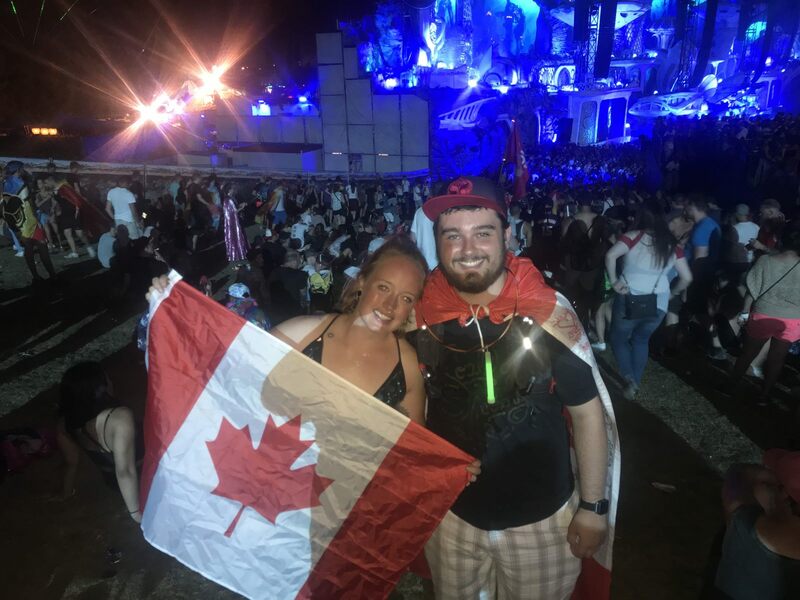 Make the most of your time at the festival, try some new foods or maybe even send a post card but most importantly just have fun! From the time you wake up until the time you fall asleep you will be escaping reality. It will be a weekend unlike any other. 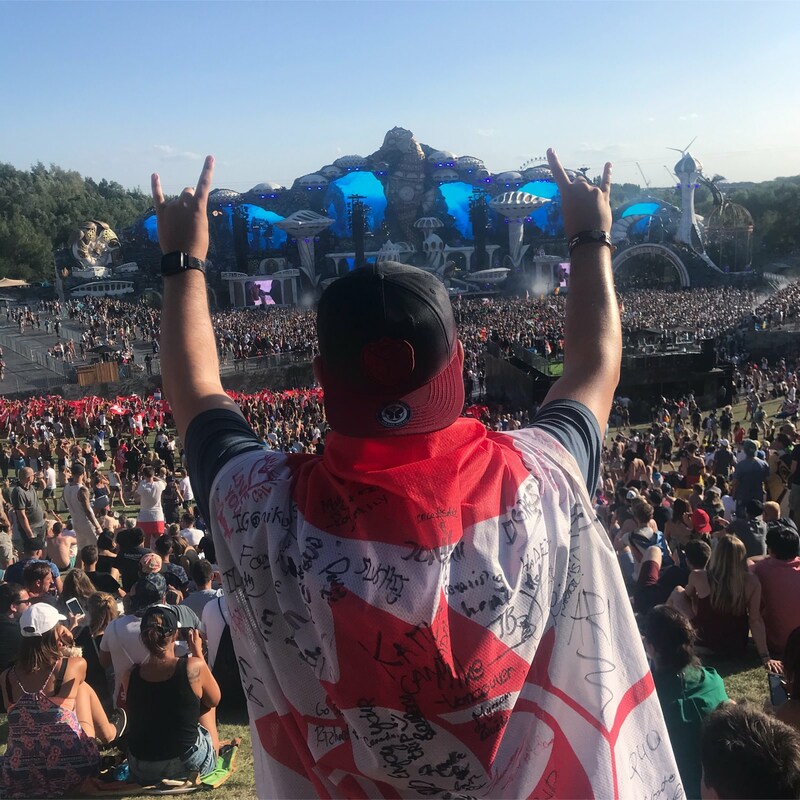 The festival was so much more than just the music to me. 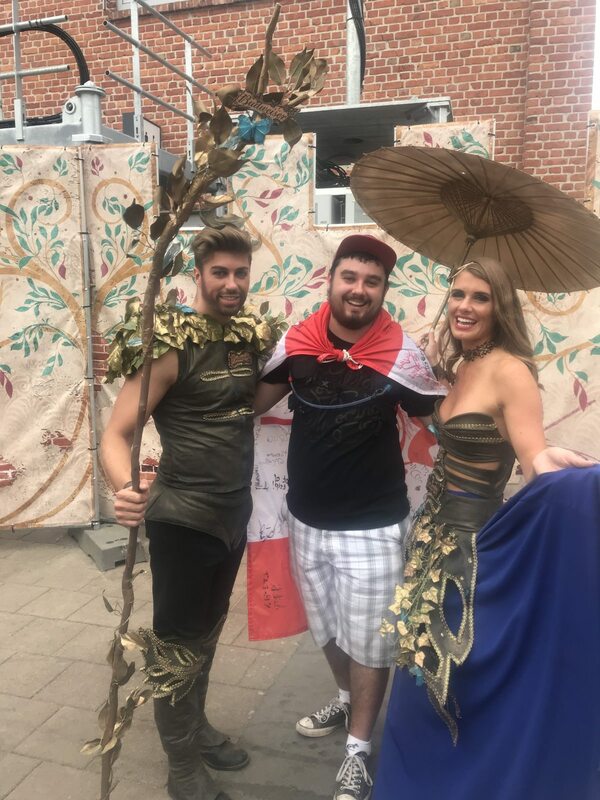 Before even arriving I had planned to meet up with some people I met through the Tomorrowland discord server I’m a part of. 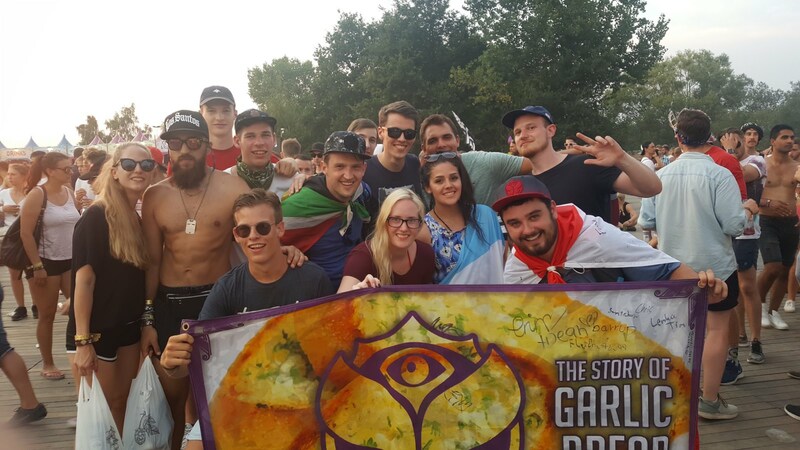 It was a great feeling knowing I would have some friends to dance with before even arriving at the festival. 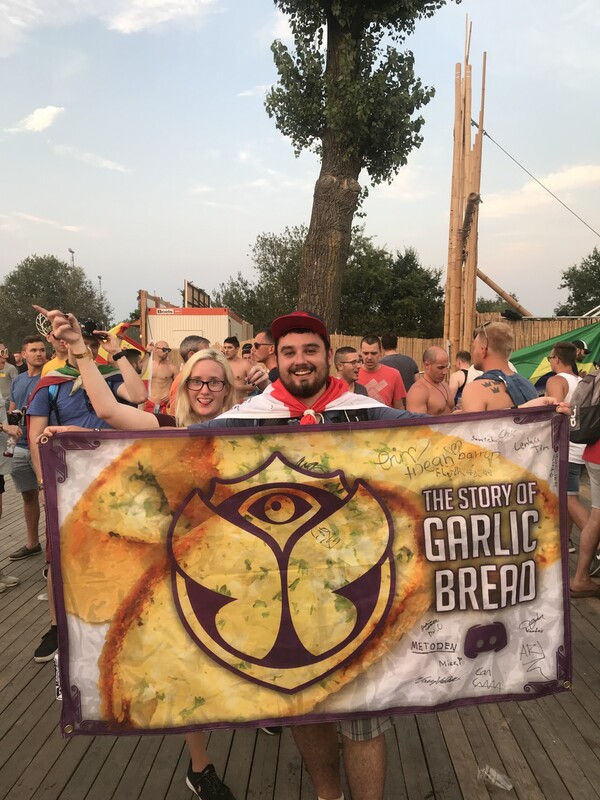 One of them even made an epic garlic bread flag for all of us to sign! 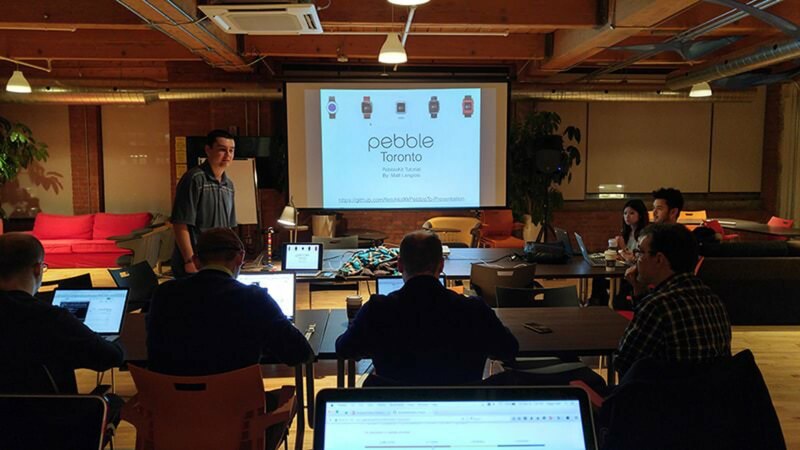 On Thursday there is a gathering event for participants who chose to camp. Essentially the Gathering is pre-party with a day of music and even a few surprise DJs. 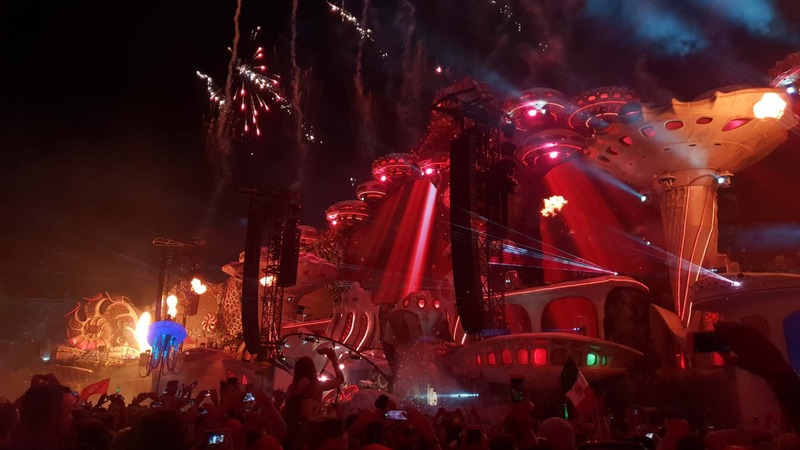 We had a killer surprise DJ lineup including Lost Frequencies, Netsky, and Armin Van Buuren! 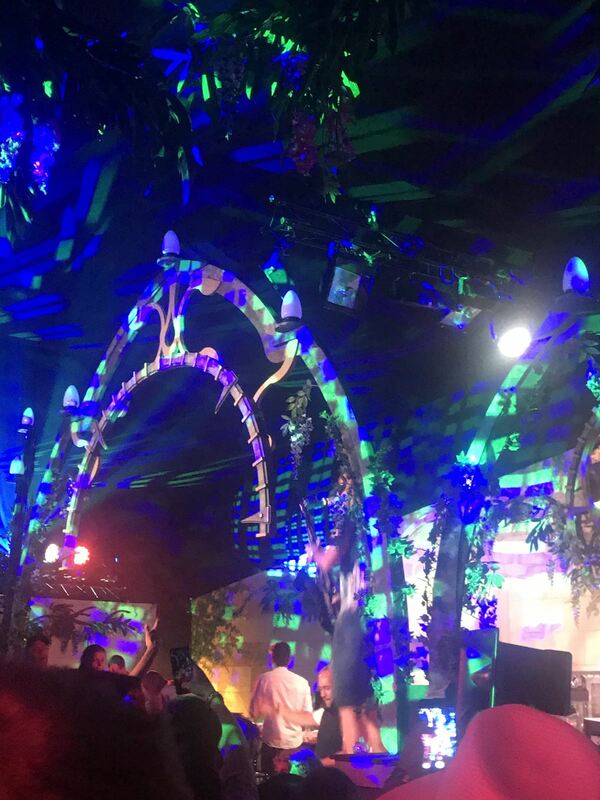 As I stated earlier, I couldn’t believe the gatering was just the pre-party! Friday was the fist day of the festival. It started off with a nice all you can eat buffet style breakfast at the quaker farmhouse. I highly recommend eating there if you’re camping. It can be a bit pricey but you pay before the festival so no need to worry about breakfast while there plus there were no lines when I went. You can also do what I did and go for breakfast at 8 AM, and then go again for lunch at 11:30am right before they close. After breakfast I made the 20 minute walk over to the festival to start exploring. 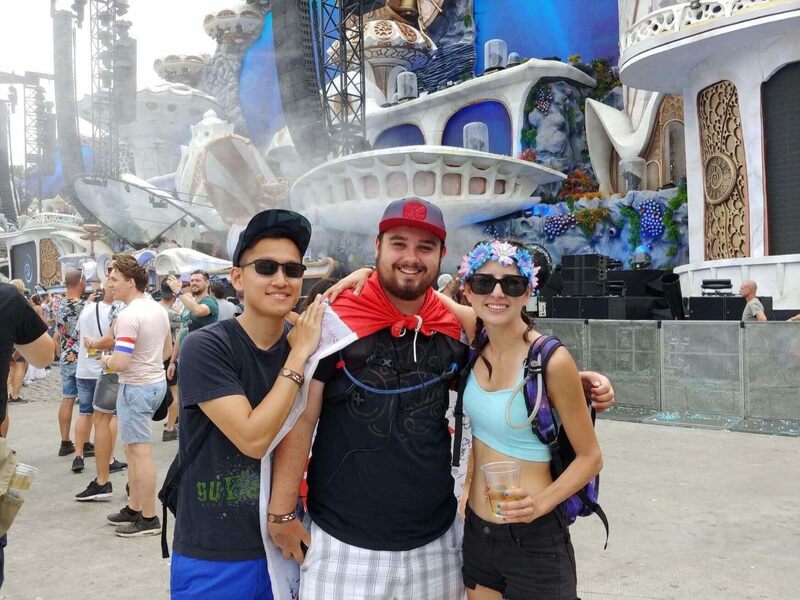 I spent the fist day with a couple I met at the garlic bread meetup the night before and we explored most of the smaller stages. 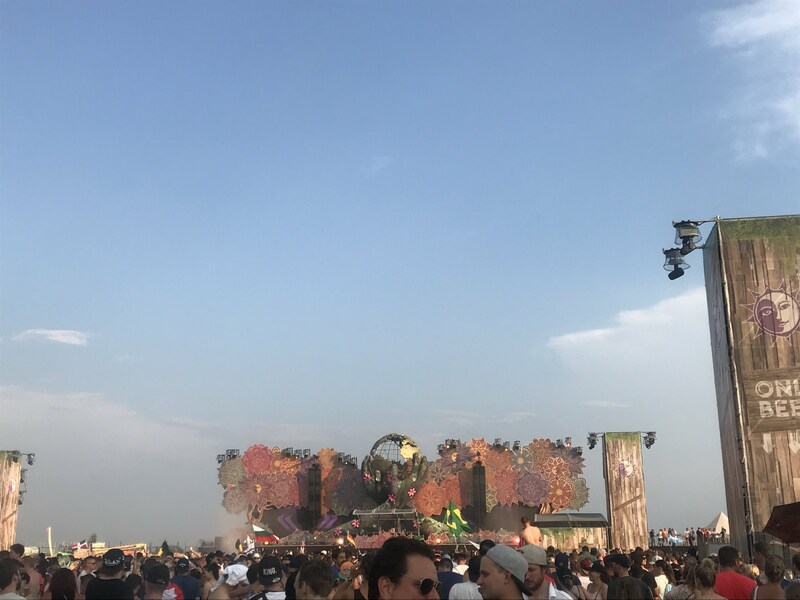 Around 4:30PM we went over to the mainstage to watch the opening ceremony. I highly recommend doing this, especially if it will be your first time at the festival. The views were unreal, unlike anything I’ve seen before. Friday was crazy hot, almost 47 degrees Celsius at some points, so I made sure to drink plenty of water to stay hydrated. I suggest bringing a hydration pack as it makes camping the front of stages much easier. 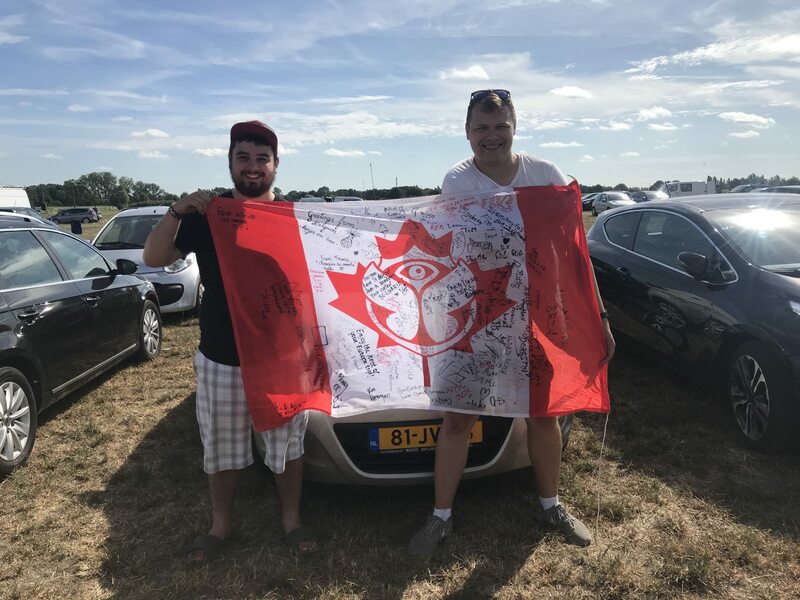 Later that evening I had the opportunity to meet Slushii and Netsky (thanks to Dorest0rm from discord), they even signed my flag!! 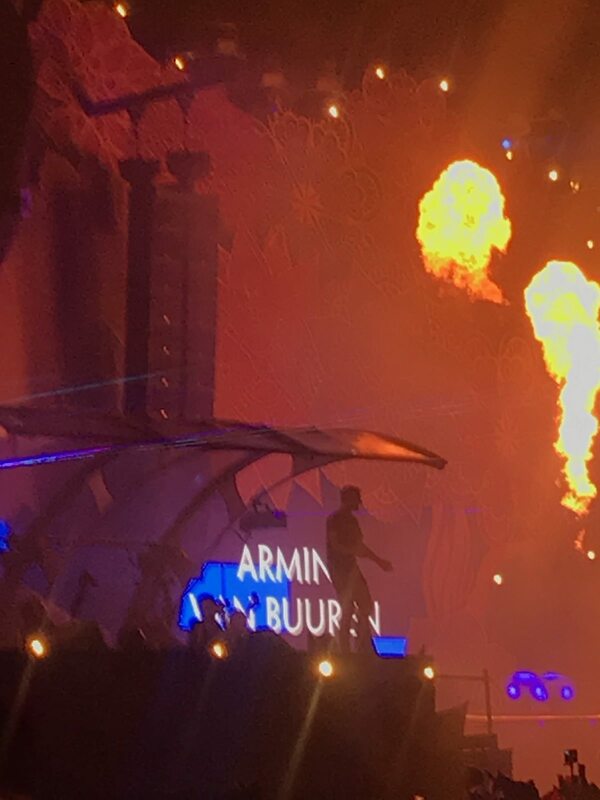 I finished up the night at mainstage to watch the closing fireworks. Saturday was a quieter day for me. Most of the artists I wanted to see were either on Friday or Sunday. Most of my day was spent discovering new artists and visiting the smaller stages I hadn’t yet seen. 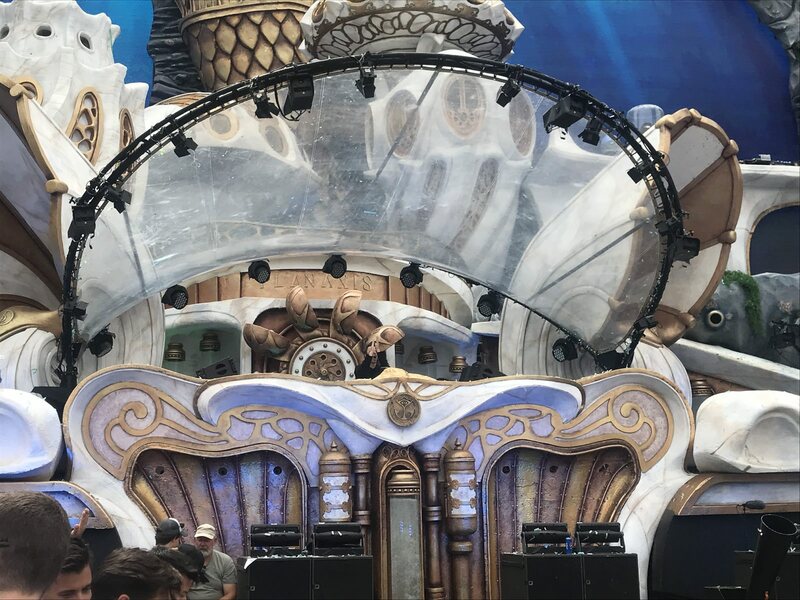 I think my favorite stage of the weekend was the Organ of Harmony, it just looks amazing. The Rose garden stage was a close second since it has a wicked dragon over top with the tail continuing into the lake. 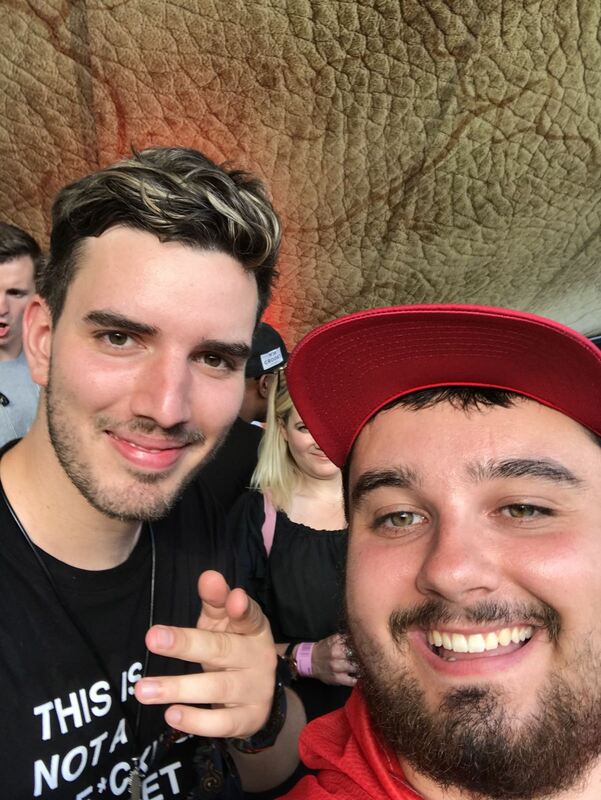 Later that evening I met Jon, another member from discord, and we finished off the night at Hardwell. I loved watching Hardwell’s set because he’s such a happy DJ! 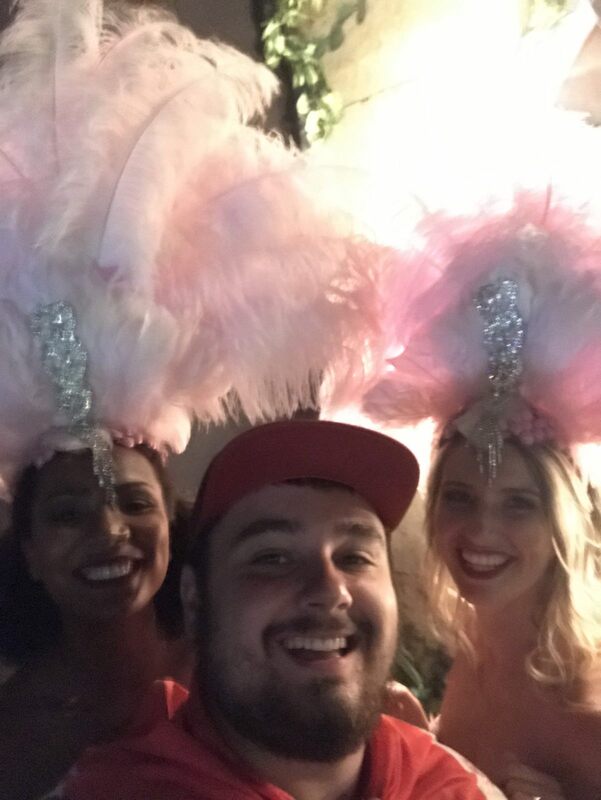 I don’t think he stopped smiling the whole time. 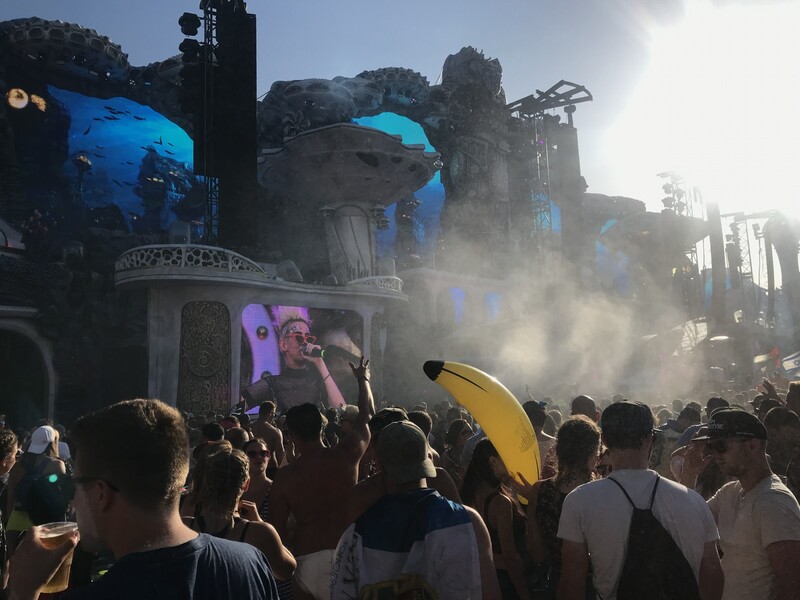 Sunday was my favourite day of the entire festival… save the best for last right? Almost all of the artists I wanted to see were playing on this day. 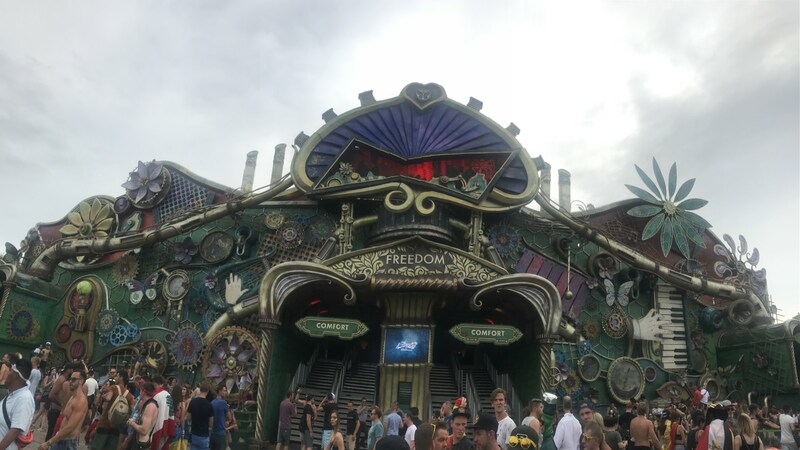 In the afternoon I went by myself to get my panoramic photo by the Freedom stage. In line I noticed the girl behind me was also on her own so I asked her to sign my flag. We then took the panoramic photo together! 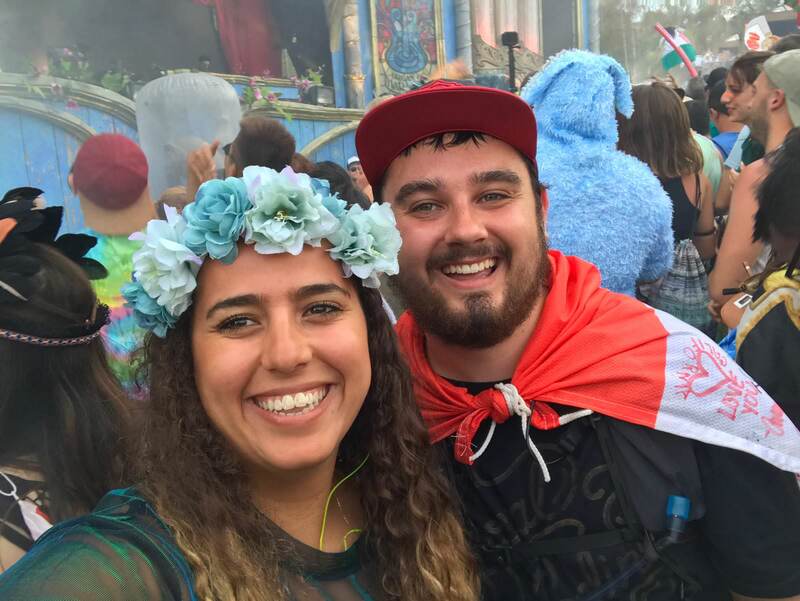 That’s how I met Ofir… it turns out she was also going to see KSHMR later that day so we decided to meetup again to dance together at KSHRM’s set! 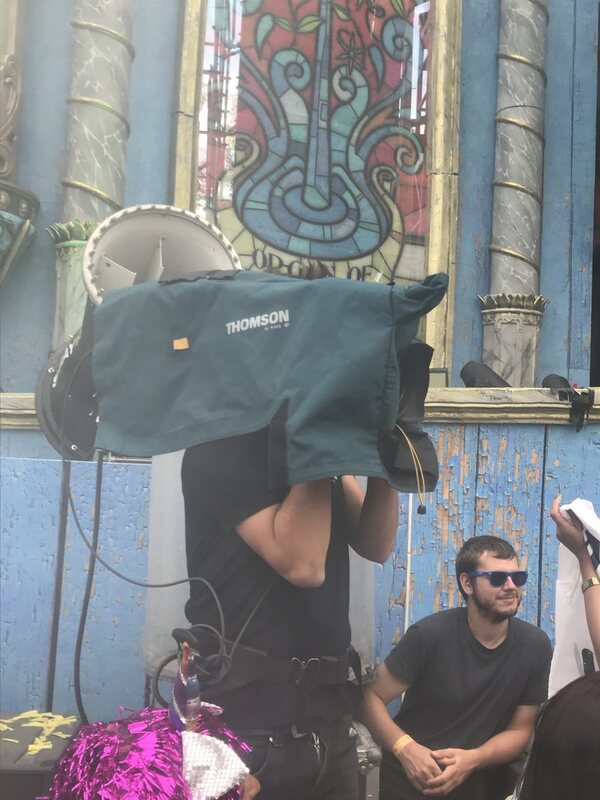 We were 3 rows back from the front of the stage and even managed to appear on the livestream! 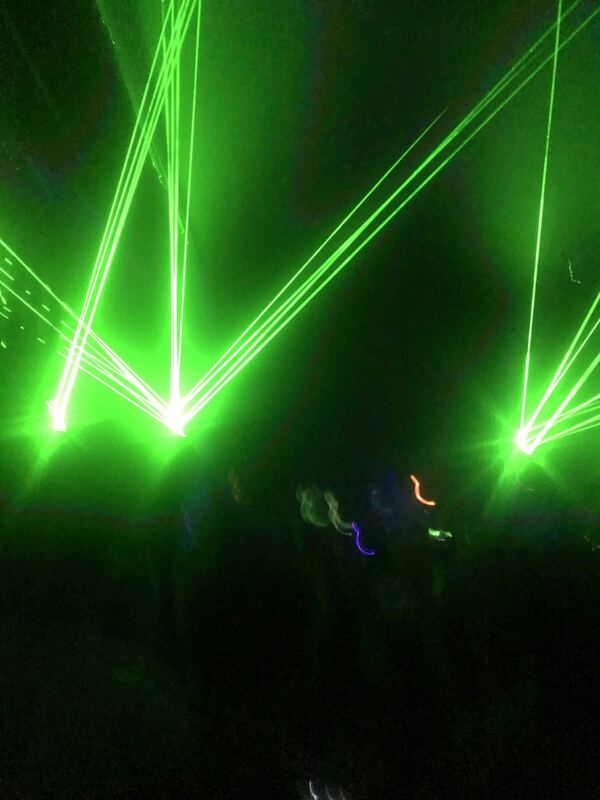 I had such a great time dancing… I don’t think I ever danced so hard in my life. 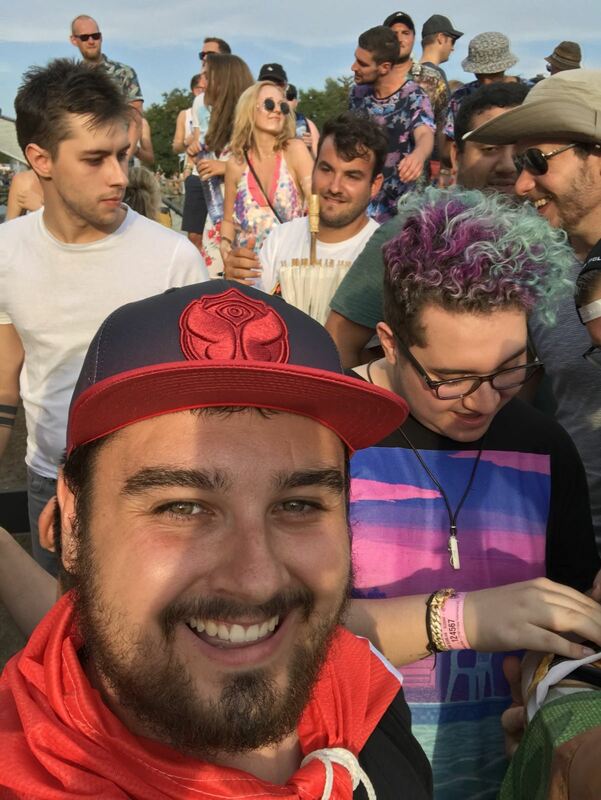 To close off the festival I met up with Jurre and we watched Martin Garrix’s set from the hills of the main stage. 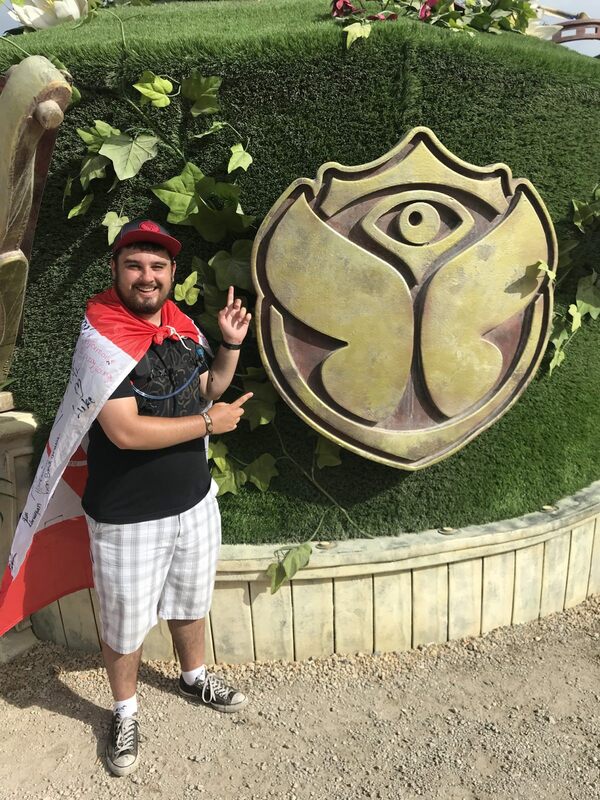 It was an unforgettable experience and I can’t wait for Tomorrowland 2019. I guess I got the crave to rave now? I’m now on my way home and had such a wonderful time in Europe. I’ll be moving to Boulder, Colorado next week to start my new job at GitHub! I hope to add another post shortly about my trip across Europe. 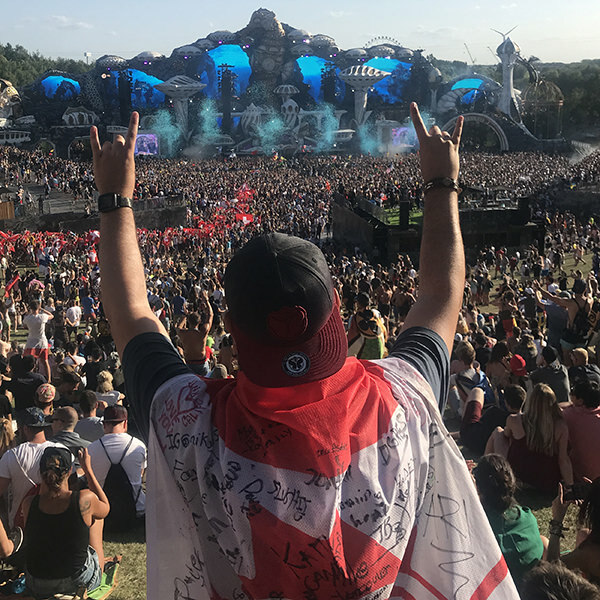 Be sure to check out the photos below of my experience at Tomorrowland.